Luxury handmade, one of a kind bridal jewellery for a one of a kind day. If you’re looking for bridal jewellery ideas and inspiration you’ve come to the right place! 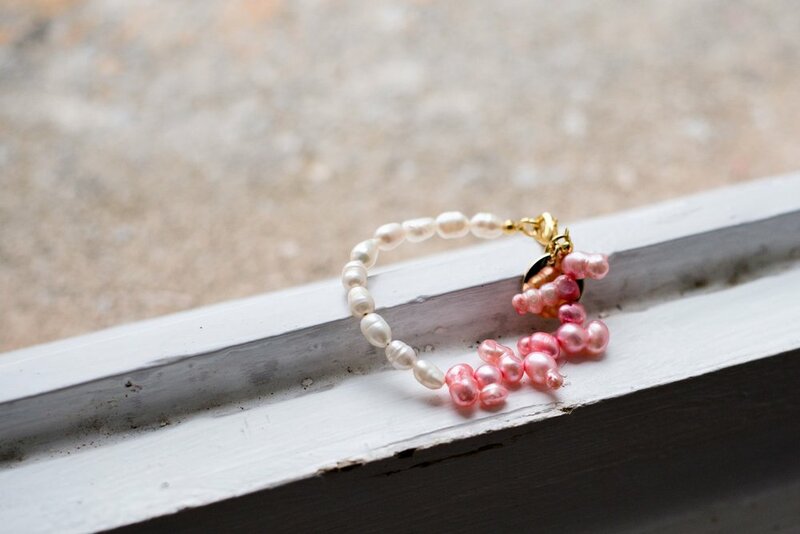 Shh by Sadie specialises in beautiful bridal jewellery with the finest freshwater pearls, vintage pearls, glittering Parisian crystals and sparkling Swarovski Elements. Our bridal jewellery is completely hand made to order for each bride and so we are able to create the perfect piece for your special day! 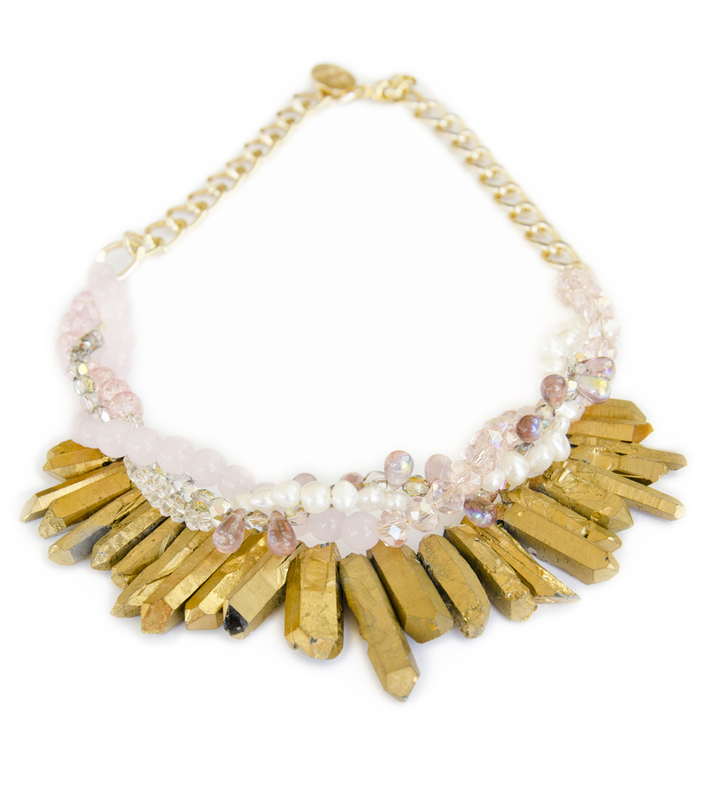 We create a variety of styles such as classic pearl rows, chunkier bohemian crystal quartz pieces and delicate shell necklaces. 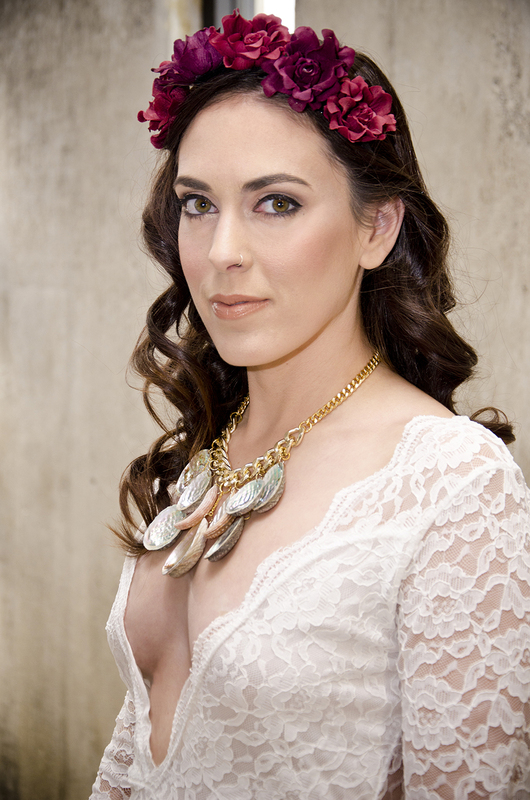 Not only are our bridal pieces handmade, completely tailored to your specifications, and beautiful (of course! ), they are also one of a kind. When you walk down the aisle in Shh by Sadie jewellery you’ll feel amazing in your bespoke jewellery that you can treasure for years to come. 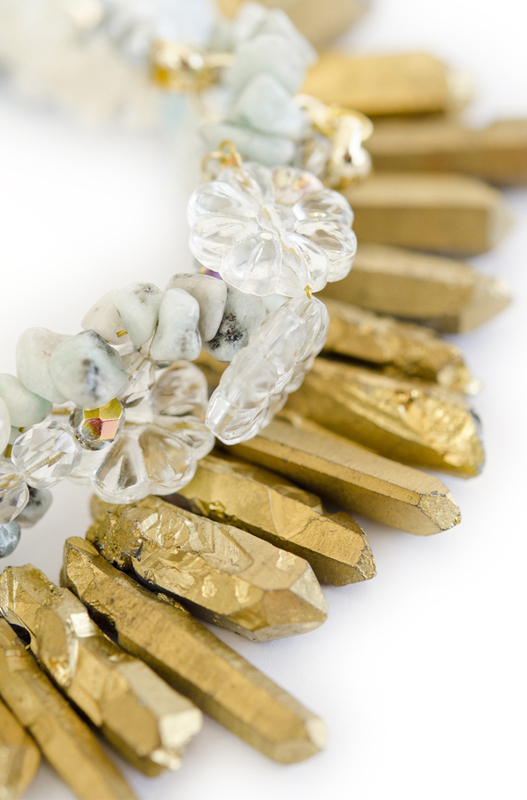 Take a little browse at a selection of our Shh by Sadie handmade bridal necklaces on this page. As we’ve mentioned, each one is made to order at our studio in Devon, customisable and can be tailor made to suit the needs of each beautiful bride or bridesmaid! 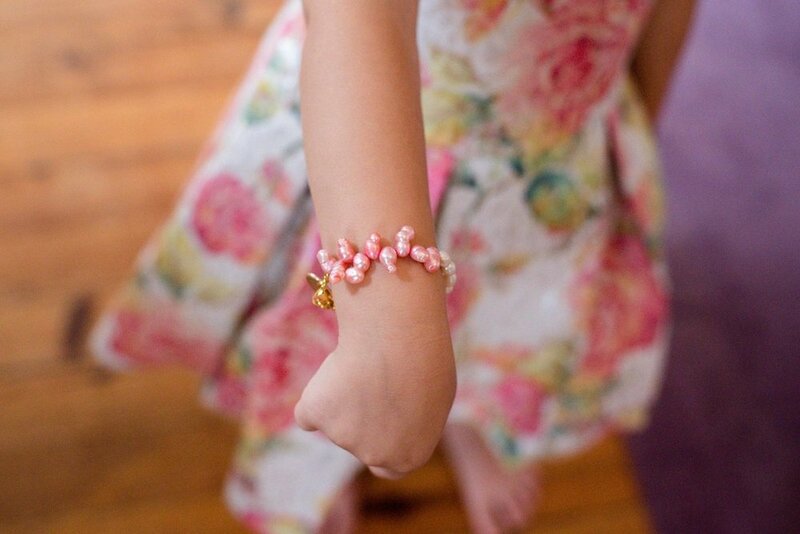 Prices begin at £15 for a single strand bracelet. To enquire about creating your individual wedding jewellery please fill in the form at the bottom of the page. If you are a boutique and would like to discuss bridal wholesale orders you can get in touch here. 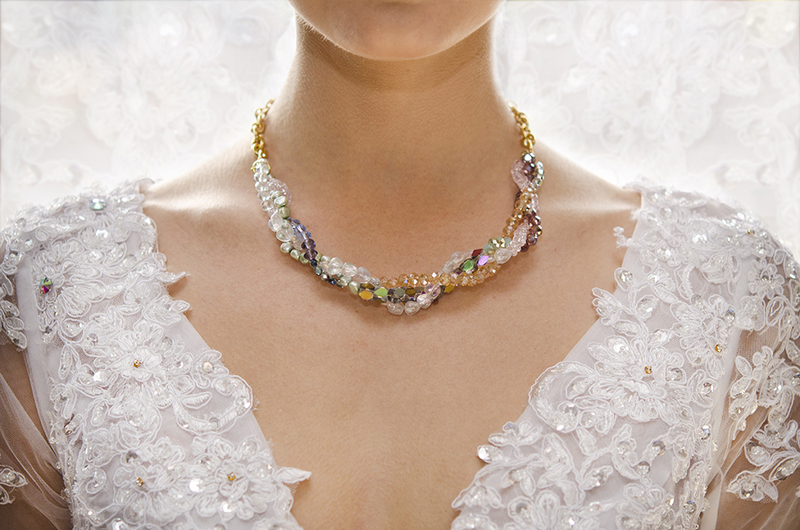 Tailor make your own bridal and bridesmaid jewellery with Sadie. There’s nothing more special than wearing your very own, custom made wedding jewellery on your big day - and now you can share the experience of creating it with your bridesmaids or best friends! The perfect pre-wedding get together or hen activity - making your own wedding jewels with a glass of fizz in one hand, and a string of pearls in the other! You will choose your own selection of creamy freshwater pearls, shimmering crystals and dainty charms if you fancy a little bit of added sparkle. 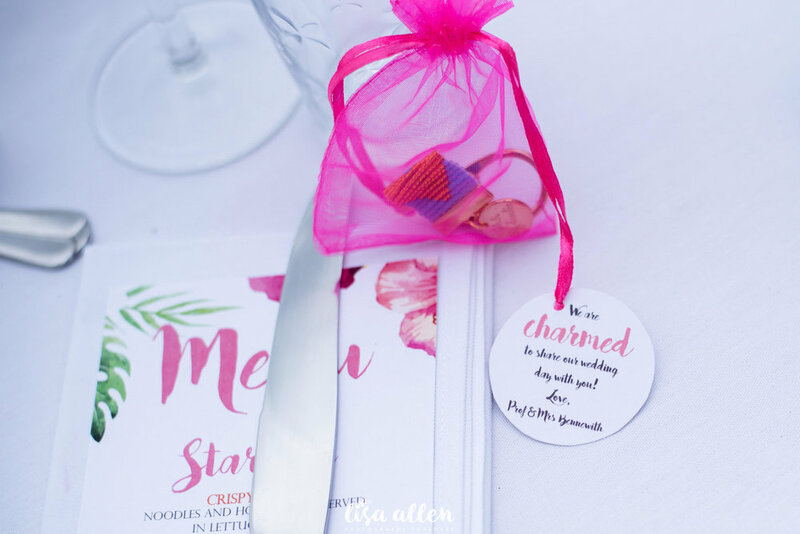 Colours are completely customisable to match your wedding theme. All materials, tools and instructions provided. Prices begin at £60 for four guests. For more information please get in touch using the form at the bottom of the page. Our Shh by Sadie Charmed Heart hand woven bag charms create a fun, unique wedding favour. A functional handmade wedding favour that will remind your guests of your special day each time they use it! Available in gold or silver hardware and beaded in your selection of colours. Pick a rainbow of colours, or choose simple white and gold - it’s your choice! Below are examples of Shh by Sadie bridal jewellery with prices as a guideline. For all bridal and bridesmaid enquiries please complete the form below and we will get back to you soon! For real life Shh brides + even more bridal jewellery inspiration click to see our bridal blog posts.